Variable sandbag in three different sizes. Online DVD with introduction video, training plans and realtime-workouts! Special offer: Free Weight Scale! The blackPack ESY Sandbag offers the right size for every application area. The three available sizes make different grip variations possible and can be filled freely. The Set AQUA can even be filled with water and makes the already instable weight training even more challenging. The durable craftmanship with high-quality textile, zipper, and additional velcro opening guarantees secure handling and comfortable training. The blackPack ESY is characterized by its versatility, regardless of the size. From filling material over training weight to handle variation, the blackPack ESY leaves it up to you. By default the ESY is filled with sand, the Set AQUA, however, comes with a water bag. Filled with water the already instable training weight becomes even more challenging, activating your deeper-lying muscles more when you have to compensate for every little movement of the water inside. 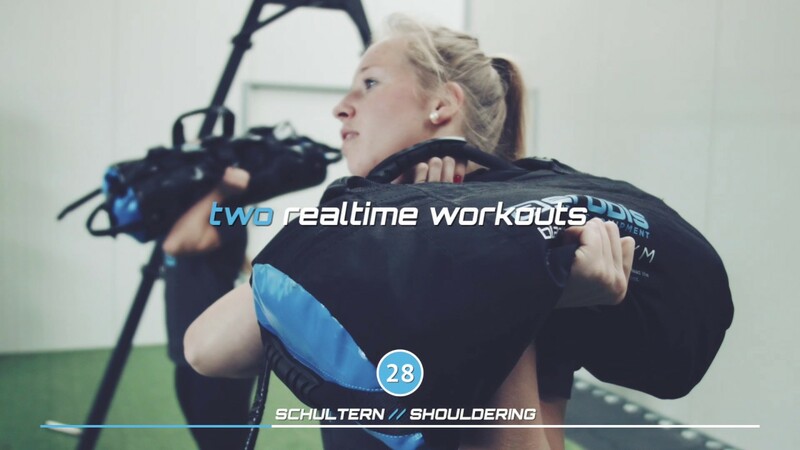 With both versions of the blackPack you can freely choose the training weight and adjust it quickly even during your workouts due to the easy handling. The handles on the back and on the side parts offer a range of possibilities to change the grip for every exercise. The connector loops on the baton handles even lets you connect the blackPack to the aeroSling ELITE sling trainer to use it as a counterweight. The three sizes of the blackPack ESY provide the fitting training tool for every functional training enthusiast. The small blackPack ESY S is perfectly suited for one-handed exercises like snatches, whereas the blackPack ESY M presents the best compromise between handiness and maximum training weight. The ESY L is the largest version and offers the biggest challenge with a training weight of up to 30 kg. The blackPack ESY is indirectly filled through the top opening with the Loading-Bags which are directly filled with the training weight. The opening is closed with velcro and a zipper. Thanks to the inner-lying seams the outer surface is very smooth, increasing the training comfort for exercises where the sandbag rests on your arms or shoulders. The REACH-certified handles are guaranteed skin-friendly, however, you can also grab the sandbag by its outer shell.